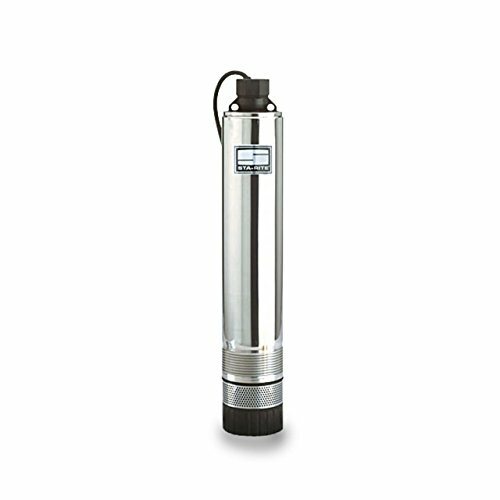 The ST.E.P Plus D-Series 4" submersible pump series dominates with superior "DRAW-DOWN" capability. Great for effluent, cistern, aeration, and irrigation applications. Stainless steel body construction (300 grade). The motor is 1/2 HP, 115V, single phase, dry-wound, double ball-bearing, double-seal, with thermal overload protection. 4-1/2" pumping drawdown. 60Hz, 2-wire. Float switch not included with ST.E.P models. Exclusive self lubricating Nylatron bearing resists wear surface from sand and abrasives. Precision molded Acetal impeller for perfect balance; ultra smooth for the highest performance and efficiency. Allows for 0.08" solids. Comes with 10' power cord. 25% Reduced AMP-draw 9.5 amps vs. 12.7 amps on a standard NEMA 4"
Cooler and quieter operation - eliminates expensive "flowinducer sleeves"
If you have any questions about this product by Sta-Rite, contact us by completing and submitting the form below. If you are looking for a specif part number, please include it with your message.